Comments: Does not have a long life in zones 7 and 8. Can grow to 100 feet tall and half as wide. Needles, 5 per bundle, have light bluish-green cast and about 4 inches long. 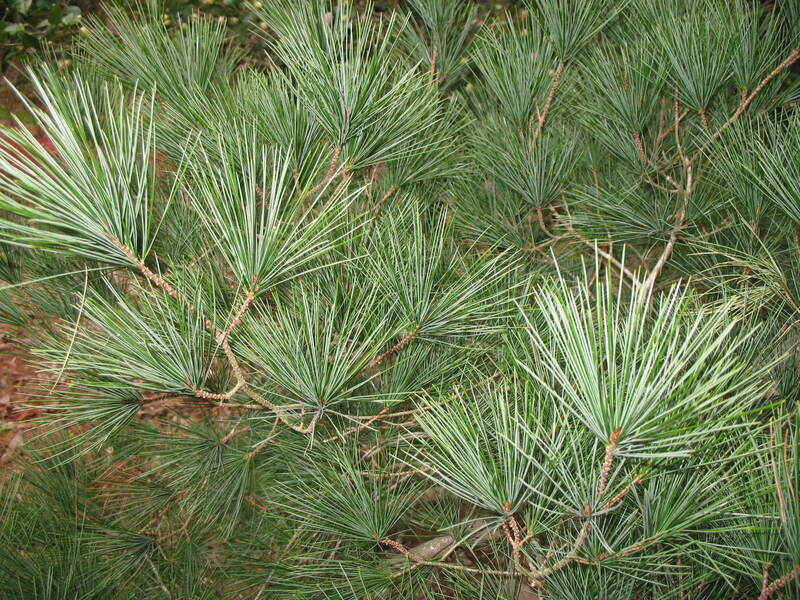 It is used as a shade tree and there are several compact cultivars that are on the market. The compact kinds are used as container or specimen plants.